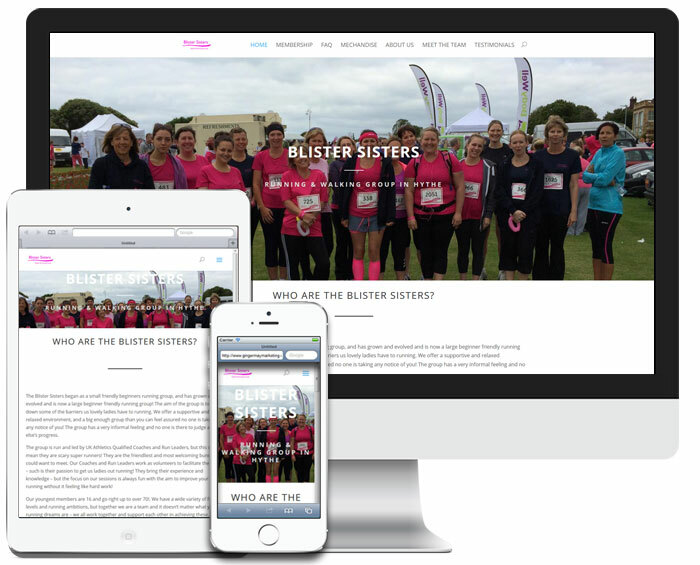 The Blister Sisters are a friendly beginners running group based in Hythe, breaking down some of the barriers that ladies have to running. The group is run and led by volunteer UK Athletics Qualified Coaches and Run Leaders so if you fancy going for a run, join them today! As they’re run by volunteers and charge very low membership fees we decided to redesign their website for free! Built from existing content and image using WordPress and the Divi theme. Like our other websites, the Hythe Blister Sisters site is ‘responsive’ so it looks great on desktops, laptops, tablets and mobile phones.